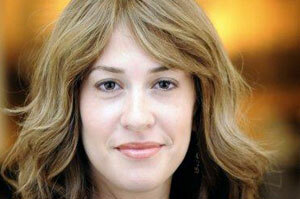 Mrs. Miriam Lipskier is the co-founder and director of the Chabad Student Center at Emory University. She is a staff member at Bais Chana Women International and has led teen and adult education programs in Israel, Moscow, South Africa, and the US. Miriam Lives with her husband and six children in Atlanta. This is a highlight of a session called "Ten Talks"; one fast-paced session featuring 10 short powertalks from 10 inspiring speakers, showcasing important ideas that change attitudes, lives, and, ultimately, the world. I do it because I love you. Mrs. Miriam Lipskier discusses the romance of Judaism as expressed by keeping kosher. We connect to the divine by doing what G-d wants even though we don’t understand why. This class was delivered at Chabad Lubavitch of Georgia.